A SEPTA bus at 2nd and Market streets in Old City. After a trial run in San Francisco, Uber is officially launching its new Uber Express POOL option to five new cities, including Philadelphia, giving commuters an option that could further rival SEPTA. The new rideshare option is a deviation from Uber POOL, which lets riders save a few bucks by allowing drivers to pick up other riders going in the same general direction. Sometimes Uber’s idea of the same direction isn’t the easiest or fastest for all passengers. You can wind up going on long detours on the way to your destination. In light of the common complaints riders have about Uber POOL, Uber Express POOL will ask riders to make the routes easier to accommodate. How? By either being asked to wait a few extra minutes before pick-up, and/or to walk to a more convenient pick-up spot nearby. At some point in the coming weeks Uber users can expect to find the Express option alongside the standard Uber and Uber POOL choices in the app. According to PlanPhilly, prices will be about 75 cheaper than traditional Uber X prices, and half the price of standard Uber POOL. The new model more closely mirrors public buses and could thin out some SEPTA ridership as Uber attempts to appeal to that market. Depending on the route, of course, some Philly riders may find prices on par with a $2.50 SEPTA ride (or less). This is key if Uber hopes to sustain the POOL model -- Uber POOL rides comprise only about 20 percent of business in areas where the option is available. Previous reports have highlighted the decline in SEPTA ridership as rideshare apps such as Uber and Lyft grow more common in Philadelphia. In response there has been broad talk of SEPTA updating its bus network. But SEPTA has also noted that rush hour ridership remains strong, suggesting that off-peak rides garner more Uber requests. The expansion of Uber Express POOL – and its lower prices – could be Uber’s way of tapping into that commuter base. 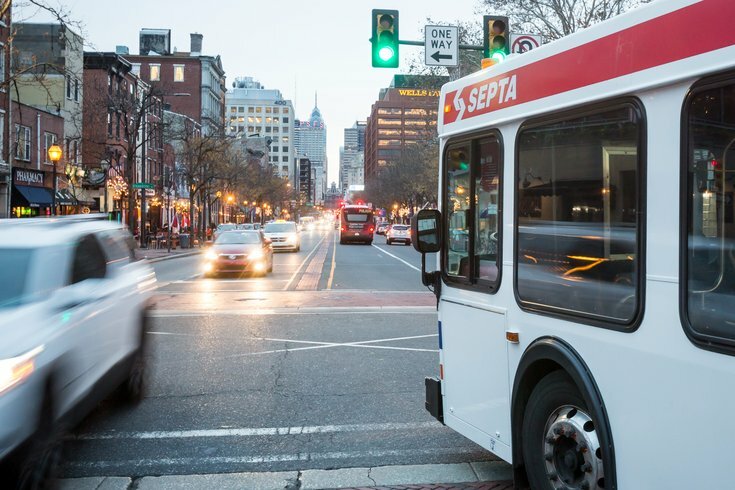 Regardless how SEPTA responds to the potential ridership threat, we know the Philadelphia Parking Authority has responded to the app's growth by proposing a 50-cent surcharge to rides through not only Uber and Lyft, but taxis as well. PPA Executive Director Scott Petri said in a report Tuesday that two-thirds of the proceeds -- an estimated $13.5 million annually -- would go to the Philadelphia School District. The policy would have to be approved by Pennsylvania lawmakers before implementation.